Tea Gift Basket- Time to take a break with our delightful tea party gift basket, filled with all the makings for a tea party, including a mini teapot and cup, biscotti cookies,chocolate hedgehogs, cocoa, chocolate expresso cups, pastry cookies, mini bon bon candies, earl grey tea, English breakfast tea and buttery flavoured pretzels. 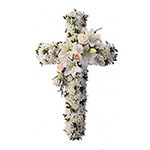 Send to mom on her birthday or to an office for a thank you gift for a job well done. 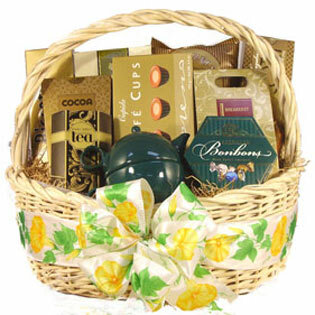 Whatever the occasion this lovely basket will be sure to please.